Being asked to be the best man at someone’s wedding is a big deal. It kind of means that you’re special. And yeah yeah…I know it’s all “unmanly” to talk about feelings, but when it comes to being asked to be the best man, it’s kind of like your mate saying “Bro, you’re the guy I trust most to have my back at all times.” So yes, it is a big deal. And no…it’s not only about the bachelor party! There are a couple of other duties that you might be expected to help with, and it’s best that you familiarize yourself with those duties just in case the bride and groom forget to ask! As the best man you are kind of going to have to play the part of the groom’s “go to” guy. Make sure he knows you are available for whatever he might need. Whether he needs you to talk him down after having a sudden attack of nerves or he needs you to pop out to the pharmacy for a bottle of aspirin, be ready to jump! This is one of the more fun parts of being the best man, but the “bill” can be kind of intimidating when it comes to making these sorts of plans. You’ll be happy to know that it is pretty conventional for the tab to be split between everyone who attends the event, so your credit card won’t suffer too much damage. Your best mate and his lovely lady can’t exchange rings without the rings….so please keep them safe! Double and triple check your pockets and make sure those little trinkets don’t get misplaced. 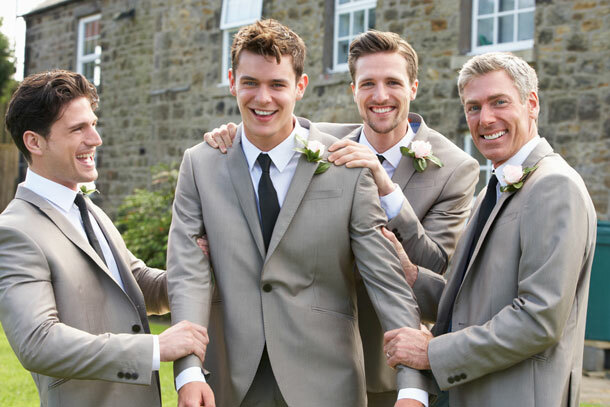 Make sure you know exactly what you and the other groomsmen need to be doing and make sure that it gets done. A marriage license needs two witnesses in order to be valid. You, along with the maid of honour, will need to sign it. You will most likely be expected to dance with the maid of honour as well as the bride at the wedding reception. Keep it short and sweet and try to remember that although it is fine to tease the groom, it is certainly not fine to humiliate him. Organize whatever you need to do this and get the other groomsmen as well as the bridesmaids to help you do it sometime during the reception. You may need to drive the couple to their honeymoon suite after the wedding reception. If so you will need to remain sober throughout the reception.